High end design with a variety of ways to enjoy your music. The brushed aluminum look of the X-HM26 provides an elegant look for any room. Whether you enjoy streaming from your smartphone or listening to your favorite radio station, the X-HM26 gives you plenty of options. 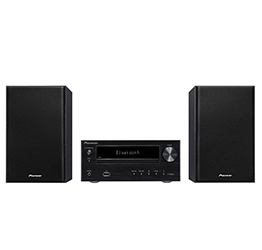 Enjoy traditional media of AM/FM radio and CDs, or wirelessly stream via built-in Bluetooth, from your Bluetooth capable devices or if you prefer, access your favorite tunes via the front USB input. 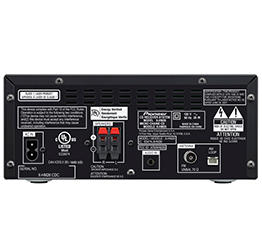 Class D Amplification, two-way speakers, Sound control, Bass enhancer and pre-set equalizer settings are designed to deliver great sounding audio.